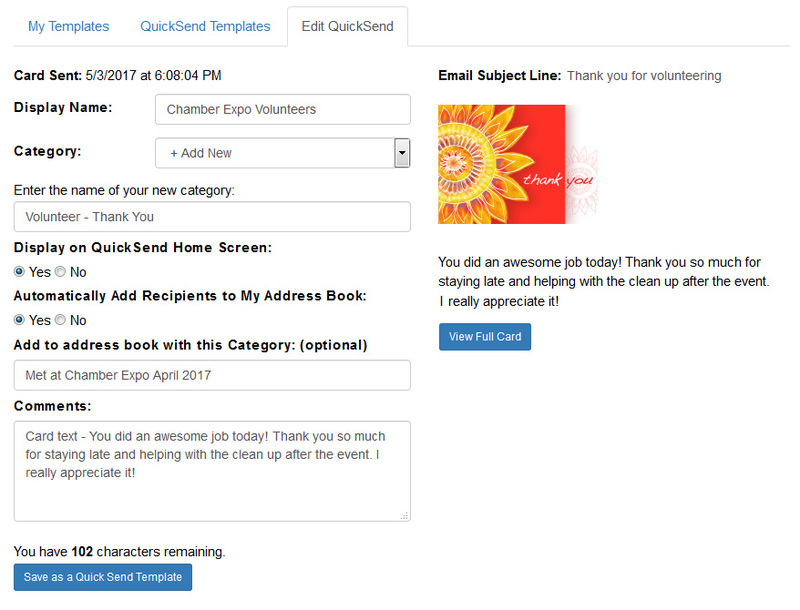 QuickSend templates significantly shorten the time it usually takes to create, compose and address an eCard, invitation or survey. 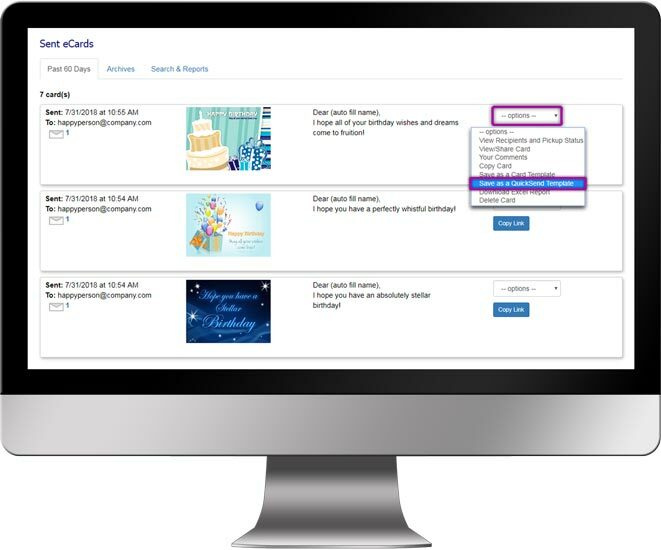 In most cases, QuickSend eCards can be sent in 30 seconds or less. 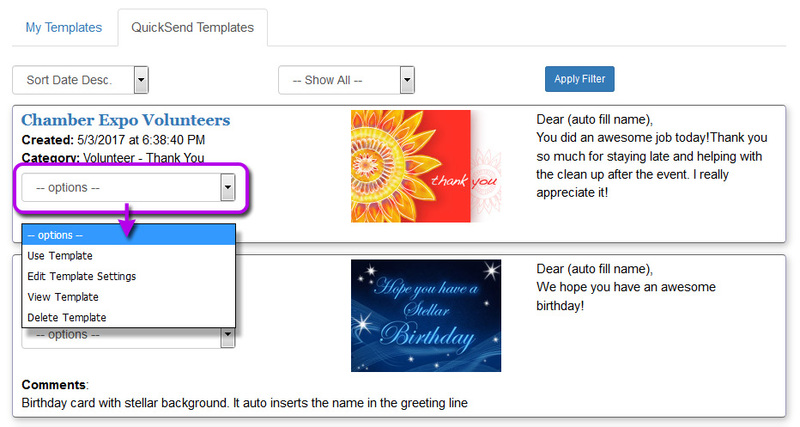 Company Plan administrators can share QuickSend templates with all or specific users. Please check the administrator tutorials for more information. 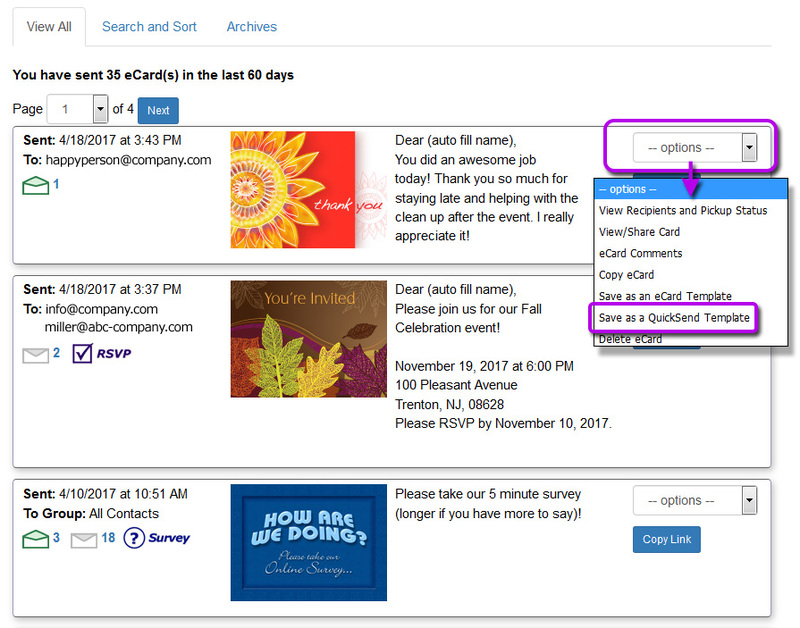 thumb_up Multi-User plan members cannot delete QuickSend eCard templates that have been given to them by their administrator.